A Christmas experience, organ donation, the winter solstice and what makes a good leader. 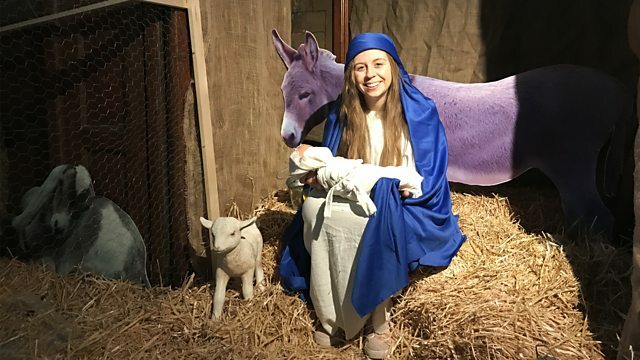 To keep Christ at the heart of the Christmas story, churches in North London have pulled out the pews and replaced them with Mary, Joseph, Shepherds and Herod to name a few, as over 900 primary school children have come together to recreate the first ever Christmas through an immersive story telling journey. Rosie Wright reports. NHS specialist organ donation nurse, Angela Ditchfield, tells Edward about a new option on the NHS Organ Donor Register which gives reassurance about how organ donation can be reconciled with a person’s faith or beliefs. With so much focus on the Prime Minister, Edward discusses the qualities needed for a good leader with two faith leaders – Bishop Nick Baines and Rabbi Laura Janner-Klausner.